Let’s consider “conventional” convention kiosk. Clearly, a kiosk is essential. 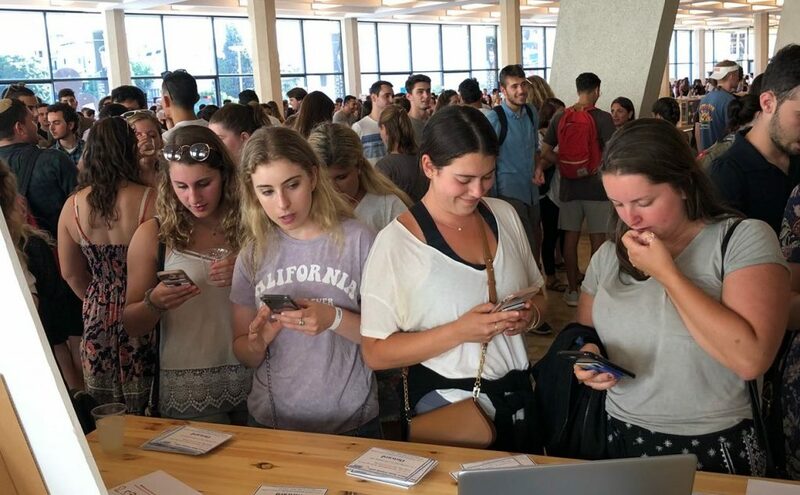 It allows conference goers the ability to sample your offerings, pick up pamphlets, speak with professionals and exchange business cards – and more. Often, fun swag and giveaways are, well, given away, only to end up in the trash bin within hours or by the end of the week. Depending on the nature of your business and the conference, the metric of success will vary, but usually new business is the goal. The question is whether the event and the kiosk is leveraged to its maximum, that is not only to generate new business with attendees that you meet at your kiosk, but to also leverage your interactions to get referrals. It makes sense that someone willing to do business with you also knows others that could use your services and would be willing to refer them to you if there was a quick and efficient way to do so. That’s where ShareSomeFriends can make your convention kiosk unconventionally successful! A few days ago, one of our clients held an event for 2000 Americans currently participating on an international 8-week professional internship program. At the event were 25 vendors and kiosks. While this is a promising participant-to-vendor ratio, the catch was that the event lasted only 90 short minutes. 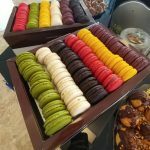 Further exacerbating the issue was that a large variety of delicious free food, including refreshing drinks and yummy deserts, were served at the same time, so therefore each vendor was desperately vying for the attention of the attendees, some with more success than others. 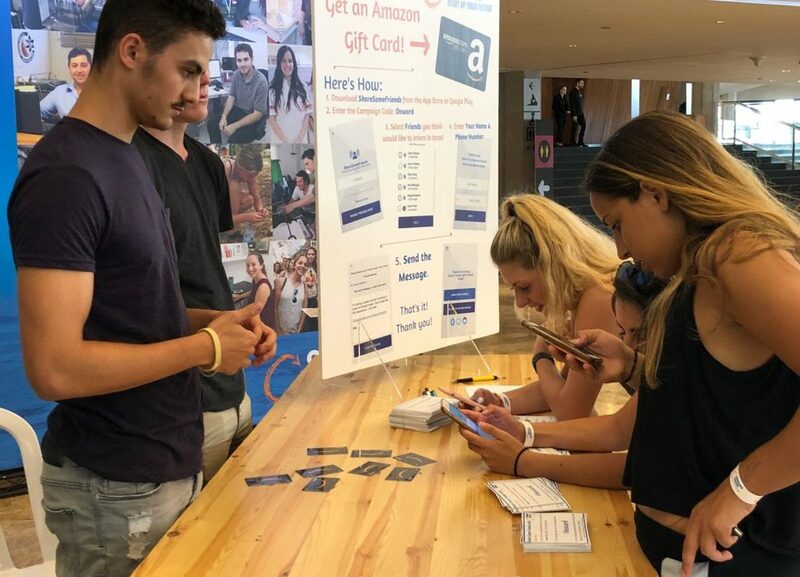 One kiosk — the ShareSomeFriends booth — provided the ability of these participants to refer friends to participate on a future internship program. Comparatively, it was minimalist with just one small giveaway — a $5 Amazon gift card — for those who would be willing to refer their friends. Quick and easy. 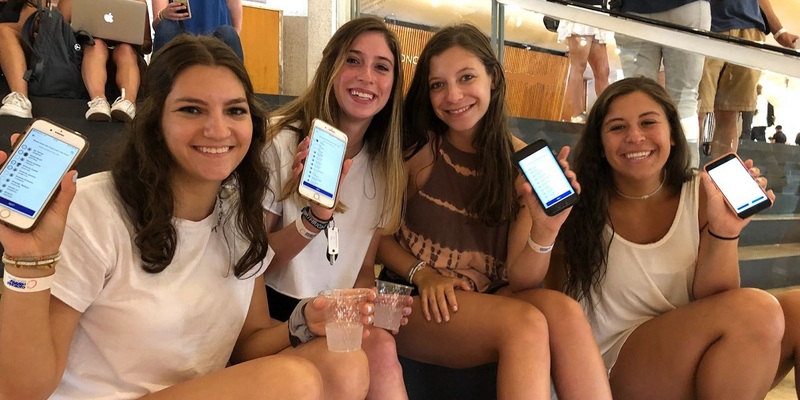 Interns refer their friends directly from their phone within seconds! The results? Within the hour and half, over 4500 unique referral leads were generated through the ShareSomeFriends platform. At what cost? The total cost of the incentives distributed came to $830, meaning the cost per lead was just 18 cents! 50 leads a minute x 90 minutes at 18 cents a lead. Not bad. What did our client get for 18 cents per lead? Each person referred received the program’s promotional message sent via SMS. More importantly, however, is that they also acquired a high-quality, customer-vetted list of 4500 potential new customers, replete with contact information. They can now follow up both through direct outreach and by creating custom audiences to serve them ads through Google and Facebook, and grow their future programs. Referral leads by the thousands. Once attendees heard about our incentive and how easy it was to refer friends, the kiosk was flooded. ShareSomeFriends can turn your convention kiosk into an unconventional tool for business growth through referral leads. Since it takes all the hassle out of making referrals, people are willing to refer, and you generate thousands of quality referral leads in minutes!